As much as I love sangria, I usually find that I avoid ordering it at restaurants, often choosing wine instead. I've mentioned it before, but I much prefer to eat my carbs than drink them. 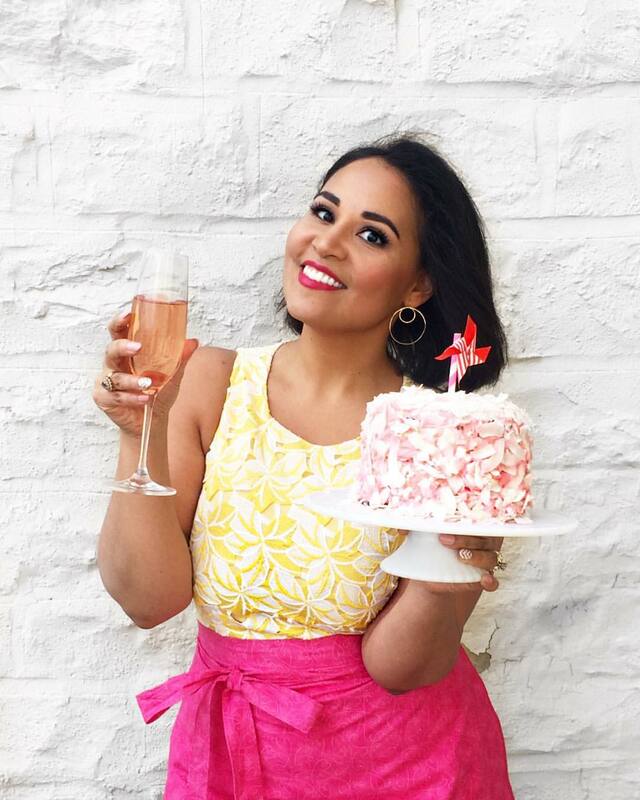 Given the choice between cake and a sugary drink, I will always choose the cake. Unfortunately, sangria doesn't give me much control in that respect. The recipes vary widely, but typically include ingredients like fruit juices, sugar sodas, simple syrups, sweet liqueurs or any combination of the above--all of which raise the sugar count of this fruity punch to levels beyond what I'm comfortable drinking. Last weekend, I spent a couple days at The Standard Spa in Miami (one of my top favorite hotels ever! ), during which I regularly indulged in a few glasses of cucumber and citrus-infused spa water on offer in the lobby. 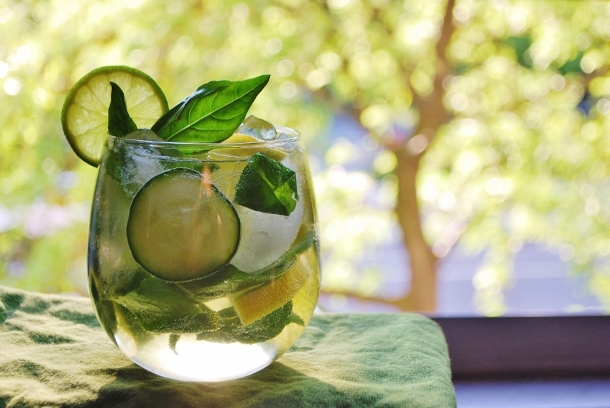 Wouldn't it be great to make a savory sangria inspired by spa water? 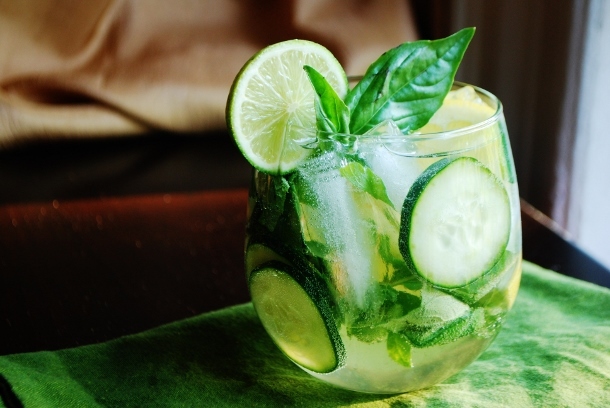 Crisp, dry white wine infused with herbs, citrus, and cucumber, with no sugar added. 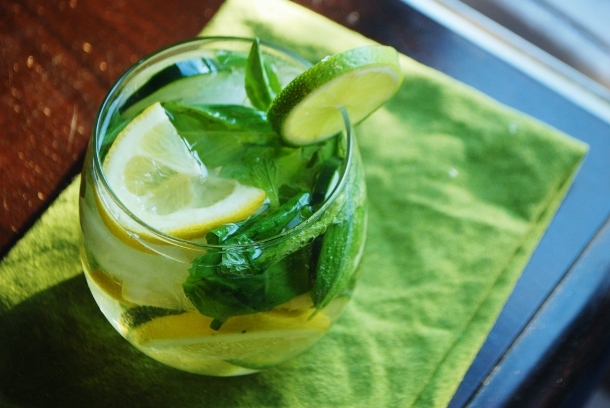 The drink would be refreshing and just as playful as sangria, but much healthier and lighter. A naturally low carb sangria. It would even pair well with food! When I got back to New York, I tested the idea, combining some crisp wine with muddled fresh limes, lemons, basil, mint, and cucumbers. I chose my favorite vinho verde for this batch, but any light, crisp dry white will do. The trick is to let the wine infuse with the muddled fruit and herbs for about 20 or so minutes, before diluting it with ice and sparkling water. The result is fresh, light, and just a little bit tart--perfect for summer! 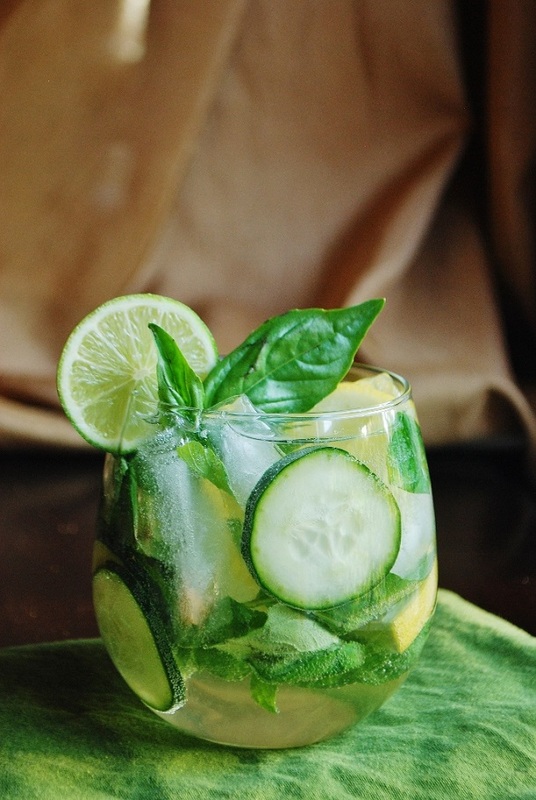 Combine the sliced lemons, limes, cucumber, mint, and basil in a large pitcher. Use a wooden spoon to muddle slightly to release some of the juices and natural herb oils. Pour in the wine. Stir and chill about 20 minutes, letting the flavors meld. Stir again, then add ice and top off with sparkling water. Serve immediately.